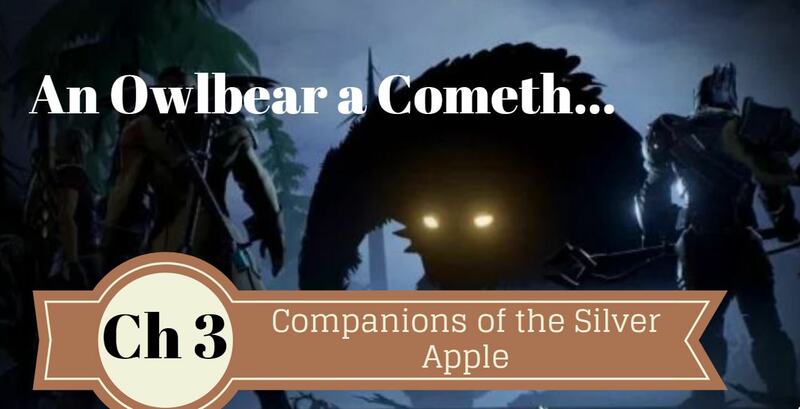 The Companions of the Silver Apple agreed to procure a heavily guarded Silver Apples. Which led them to impersonating the goddess Mystra to make the proprietor of the Moon Stone Mask to give up one of the apples. As companions make their way to leave the floating island that holds the Moonstone Mask Inn they come face to face with a large burly form. An Owlbear has mysteriously appeared to block their path. The Companions currently Include L'lyssa the Halfing Thief, Anorak the Elf Wizard, Percy the Human Fighter,. They are about to be put to the ultimate battle for their lives. At level 1 they are no match for an Owlbear especially one that looks very hungry. "I don't know what your talking about," Lied L'lyssa rolling a deception check of 15. The Owlbear roars as it charges from the portal. Percy roars back and rushes to meet it. L'lyssa makes a successful stealth check as she dashes into some nearby bushes. Annorak unleashes magic missiles that fire off like darts of light they bury themselves in the Owlbear's hide. The Owlbear barely notices the damage as the magic missiles singe its fur. If anything it picks up even more speed. Percy swung his axe hard into the Owlbear and grins feverishly as it sinks deep. L'lyssa lands a critical sneak attack also hurting the Owlbear. 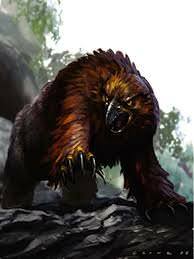 The Owlbear though is not fazed and unleashes two attacks on Percy that leave him badly wounded. "We are not going to defeat this with might alone." Observes Anorak. "You two flee into the portal. L'lyssa and a baddly wounded Percy manage to limp through the portal". The Owlbear roars angrily but does not follow them through it. While the Owlbear is searching for the other two Anorak hides then uses prestidigitation to create a smell of elk coming from the otherside of the island. The Owlbear follows the scent searching for food. Anorak stumbles through a stealth check barely maintaining enough stealth to slink through the portal. On the other side he quickly catches up with a limping Percy and he helps him get back to the Driftwood Tavern where they hoped to meet up with Gundeen Rockseeker. Gundeen is startled by the party's wounded appearance and immediately finds a healer for Percy. While Percy is tend he goes up to the party and says "I'm sorry I gave you that that quest, I know it was nigh impossible." L'lyssa smiles, "Not for us". 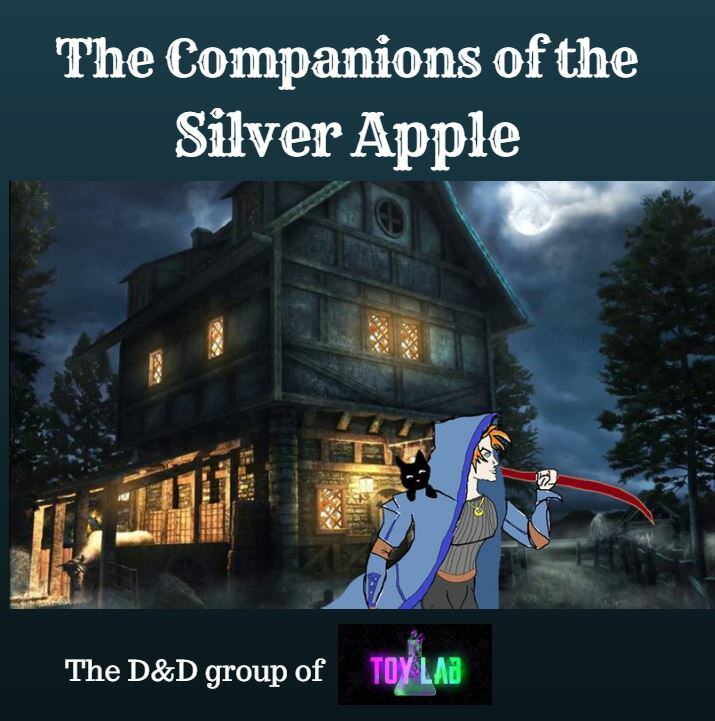 and she holds out a beautiful resplendent Silver Apple that glowed lighting up the tavern. 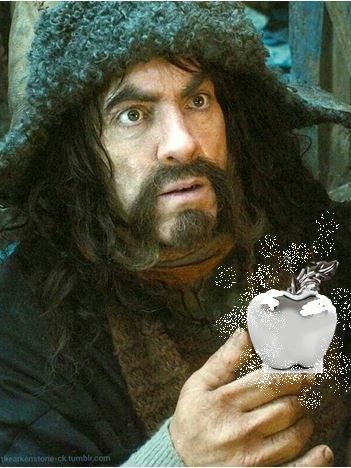 For a time Gunderen simply stared at the apple unable to believe his eyes. "For so many years I have dreamed of finding the Lost Mine of Phandelver and now thanks to you I have the last piece." Gunderen pulled out a special device, and placed the apple inside of it. He then began to crankwheel and a insanely large sound was made. A light popped out of the device and to the party's awe there appeared a map on the ceiling of the Tavern. "Ahhhh there it is, there it is". Gundren stopped winding the machine and slowly when dark. The old dwarf sat deep into his chair with a funny smile creeping onto his face. He looked up slowly to the companions, you all have done me a great service and now I am going to repay you all. If you want there will be more work for you. Tomorrow we set out for the town of Phandalin. What adventures await on the road to Phandalin? Find out in Chapter 4 Goblins Arrows INCOMING! 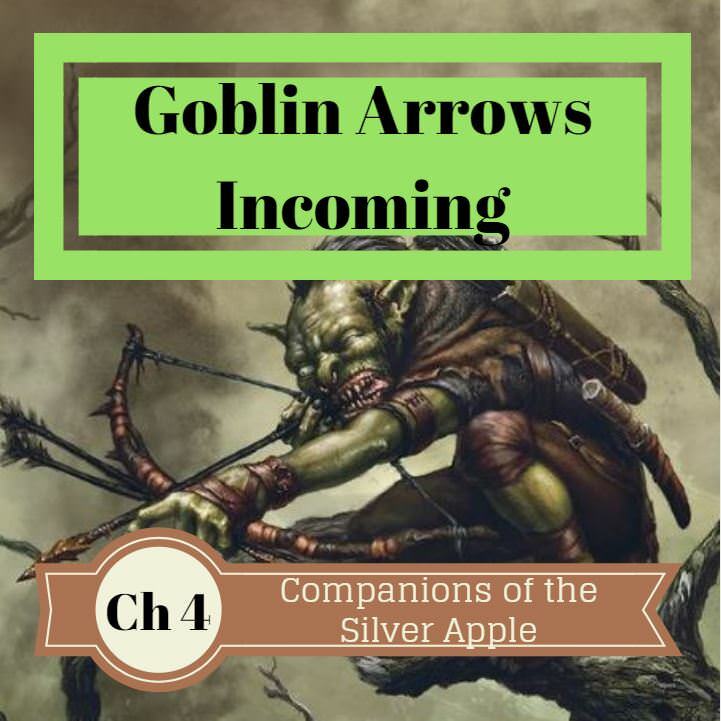 Chapter 4: Goblin Arrows INCOMING!